The Internet is changing marketing from old media to new media at the speed of light. The new rules of marketing are revolutionizing customer engagement that is interactive through digital touchpoints that initiate conversations, transparency, and trust that builds relationships and loyalty. Creating brand recognition is more important than ever in a media saturated economy. Modern customers demand more. They have the power and they know it. In order to survive in the consumer driven economy, businesses need to adapt to customer demands for changes in the way products and services are designed and delivered to them on-demand. In the past, businesses had complete control over marketing, creating a one-way broadcast of information distribution to customers via traditional modes of advertising (i.e. commercials, print, radio and TV ads, etc.). Consumer influence that was once limited to word of mouth is now broadcasted over the world wide web. With the advent of the Internet and the rising use of technology, consumers now have a voice and have taken control over industries, reshaping the customer experience by bringing the outside in. Now with just a click, every consumer can immediately reach a worldwide audience, forcing those marketing themselves online to drastically alter their approach to branding themselves. Today, consumers are turning to the Internet to share stories, opinions, and experiences of everything around them, greatly influencing how information is consumed and interpreted by the masses. But most importantly, the Internet has empowered consumers to make smarter connections and purchasing decisions. For the first time, it’s possible to connect and create a personal relationship with every customer. Thanks to the Internet and technology, the customer experience is now a quantifiable metric that enables all businesses to more effectively build brand identity and personal relationships with customers. There are several ways today to become customer engaged and knowing your customers better. 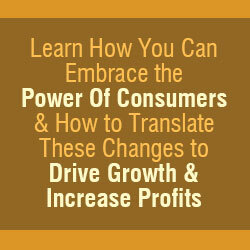 Learn how you can embrace the power of consumers and how to translate these changes to drive growth and increase profits. The Internet is filled with information that has something for every type of consumer. However, with information overload, it is easy for a brand to get lost in the shuffle. 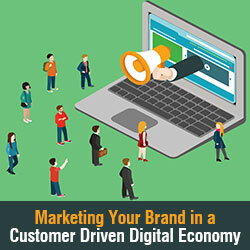 How a business stands out amongst the crowd is being a brand known for delivering value. Whether it’s through your content, product, or service, it is essential to meet your customers expectations and satisfaction. Brands can broadcast how great their company is, but unless it is supported by transparency, the truth will always come out online. Instead of sending generic emails or automated social posts, customers enjoy personalization when it comes to information being delivered to them. From the welcome message they receive when entering your site to deals you offer tailored to their interests, the interpersonal experience they have with your brand is important. Successful brands know with exactness the wants, wishes, and behavior of individuals and targeted demographics. They know what resonates and can easily grasp what their customers enjoy reading, watching, or listening to. Knowing your customers is the ultimate key to success; not only are you providing the best value to them but you know what type of information they like, how they like to receive it and how often they would want to receive that information. stions to ask when learning more about the needs of your customers. The last decade has seen the emergence of new distribution channels that has created and amplified consumer influence. Social media platforms like Twitter and review sites like Yelp have empowered customers to rate, review, and share their experiences on a broader level, connecting all users on the Internet to have the same access. Consumers are constantly sharing information and have become critics in every aspect and are leaving reviews whether they realize it or not. Listening to your customers has never been more important than before. 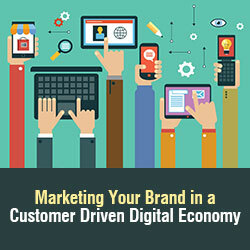 As customers interact with your brand, they are leaving a trail of information for others. Photos are shared in Twitter or on Instagram, people are checking into your place of business, and reviews document their amazing or not-so-pleasant experiences. These conversations are valuable commodities that many businesses are unaware of and if they continue to avoid adapting to these social avenues, they lose control of the conversation and the image of their brands. These social platforms are not just a distribution channel but also a public two-way conversation. All Internet users can see your customer interactions and whether you have followed up with an inquiry or liked a social post. Engagement has become an integral part of online marketing as brands seek to satisfy their customers on every platform. What makes the Internet so powerful is its ability to pass along information so it is important for businesses to take control of the conversation and their image online. Create a shout-out for a customer who tweeted their experience. Reward customers for leaving a positive review with an exclusive deal. Knowing your customer is about listening to what consumers really have to say about you, understanding what they expect of your brand, and resolving any lingering issues. The service and overall experience that customers have when they interact with your brand determines their relationship. The beginnings of a lasting relationship with your customers to establish loyalty begins with a branded customer experience. A branded customer experience is the consistent representation of your brand across all marketing channels and interaction, creating an emotional connection and relationship that you want customers to have whenever they come across your brand. There is no exact formula to creating a branded customer experience, but the first step is by creating a brand identity that customers enjoy and resonate with, a persona that they can relate to on multiple levels. The key to this is being a transparent brand that harbors feelings of trust and delivery when it comes to your idea, product or service. Everything from the content you publish, to the tweets you post, and how your team handles customer inquiries (both positive and negative) are all factors that contribute to the customer experience that helps build your brand and online reputation. 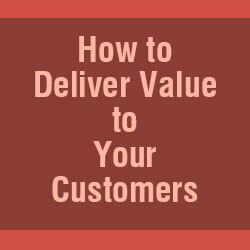 In today’s market, the most valuable asset of every company is customer relationships. Customer loyalty may seem hard to attain at first, but these relationships stem from the value that you provide for consumers and the branded experience they receive. According to a report by Econsultancy, 70% of companies say it’s cheaper to retain customers than it is to attain them while 49% state that they achieve greater ROI by investing in relationship marketing over acquisition marketing. These numbers show how significant it is for businesses to create brand loyalty with their customers because they are more likely to invest in their services or goods again based on their positive experience with a company. Technology has enabled customers to become better and more informed; they see right through brands who lack integrity and will quickly take their business elsewhere. As a brand, there is a need to respond to the changing landscape of the customer driven economy by providing as much information as possible to deliver value and excellent customer service. 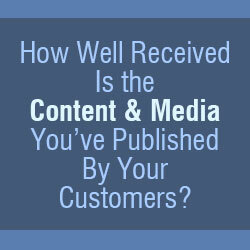 When this is accomplished a solid, lasting relationship with a customer is created. These customers prove to be invaluable because not only do you have their loyalty, but also their advocacy and brand reinforcement. Word of mouth moves more quickly through the Internet as their positive experiences become free methods of advertising to other consumers that will lead them back to your brand. 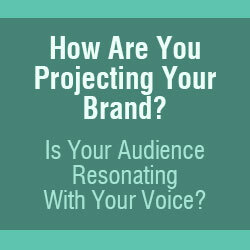 Brand loyalty speaks volumes as your voice now becomes their voice – this is the ultimate goal as the power of brand awareness is now being driven by your customers and word of web. Successful brands are ones that engage with their customers across multiple online channels, create valuable content, and have a brand identity that customers appreciate and connect with. You need to care about your customers’ voices as their experiences matter and satisfied customers are more likely to return. Remember that building your brand identity should be rooted in providing the best value and experience as brand loyalty and lifetime customer value are important metrics that determine your brand’s success in today’s digital economy. Indeed, the Internet has changed marketing and advertising forever and will continue to evolve in a dynamic exchange between businesses and consumers. How digital is your business? Are you future ready? Social Media Policy for Employees: Do or Don’t? 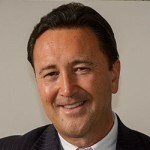 Richard B. Hollis is an experienced business leader and entrepreneur, with over three decades of experience ranging from devices, pharmaceuticals, biotechnology, software and digital technology, while concentrating on some of the biggest medical issues facing humanity today such as global infectious diseases (malaria, HIV, TB), acute radiation syndrome, prostate and breast cancer, cardiovascular disease, and diseases related to aging such as diabetes, inflammation, arthritis, and autoimmune disorders. Hollis founded Holonis, Inc. after extensive research revealed an opportunity to create an engine for commerce on the web utilizing the connections of DNA encoded as software, creating a vision for translating this knowledge to digital applications that would embed business logic and wisdom as algorithmic information providing instructional functions that automate commerce. This vision for rebooting the world of commerce to the digital age was created with a biological model of bio-mimicry and principles of integration based on Holons.